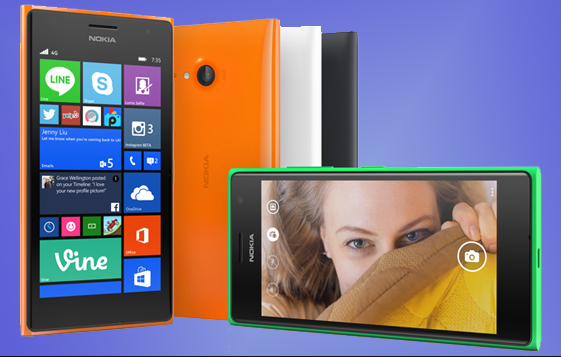 "Selfie Lovers" That's one of the main targets when Nokia released the Lumia 730 Dual SIM. To attract consumers who are exposed to the virus selfie, Lumia 730 Dual SIM carries a 5 Mega Pixels front camera as flagship of its main weapon. Argonomis design feels when in direct contact with this phone. Such products fit when gripped. 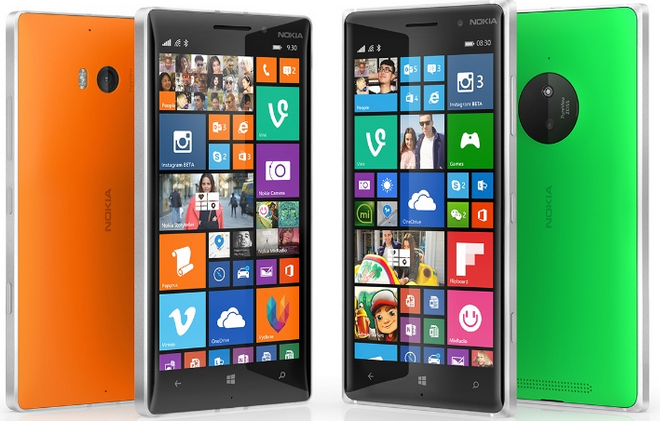 Overall Lumia 730 Dual SIM has dimensions of 34.7 x 68.5 total x 8.7 mm and weighs 130 grams. These specifications, a portrait if the new Lumia family has a fairly proportioned body. The main drawback of this phone in terms of the view that the concept of the design is not much different from Lumia families who are already in circulation. Casing made rough matte finish material, make the Lumia 730 Dual SIM not easily be separated from the grip when carried move. Lumia 730 Dual SIM embedded OLED touch screen type with a diameter of 4.7 inches. The screen is equipped with ClearBlack technology. When accessed, the display is presented on the screen looks sharp and detailed enough. The situation is not out of reach level screen resolution 720 x 1280 pixels with a density of up to 312 ppi color. To cope with damage to the screen in a collision, the display Lumia 730 Dual SIM has been coated with Gorilla Glass technology 3. This phone is equipped with dual cameras. The main camera has a 6.7 MP with Carl Zeiss optics technology. Additional amenities at the menu is quite standard imaging such as LED flash, geo-tagging, face detection, panorama. As the main capital for taking selfie photo, front camera 5MP available 720p HD quality, wide angle, and distance focus or focal length of 24mm. With this technology, users not only can selfie but also wefie or selfie photos together, and make sure no one missed the cut in the photo or the background when selfie photo. Try taking photos. When taking a picture, the camera is fairly agile in capturing the moment. No pause is felt when capturing images. For the picture itself are satisfactory. 6,7MP camera without using Flash, indoors. Additionally equipped with a 5MP front camera, to strengthen this especially selfie phone. The Nokia Lumia 730 Dual SIM armed selfie Lumia application. Lumia selfie selfie help take photos with better quality and fun editing process. Special features available on the Lumia selfie is the process of editing to change facial features, such as making faces become more gaunt, enlarge the eyes, whiten teeth, smile widened and much more. To use this facility is fairly easy. The feature of Selfie existing Lumia icon is available on home screen. Once accessed, we can directly selfie with various poses mainstay. the picture quality is very satisfactory. Lumia 730 Dual SIM using the Windows 8.1 OS. As with other Windows-based smartphone, the Lumia's screen also looks attractive with the Metro UI new interface concept. With this feature Metro UI main screen decorated the ranks of the box feature called Tiles. Dynamic set of boxes defecate it, arranged neatly in one column and extending from top to bottom. Tiles can be set according to taste, making it easier when using this awesome phone. Every features can be set according to taste, making it easier when operating this phone. From its name we can be sure this Lumia brand-new family, already armed with Dual SIM technology. This is certainly a plus, the article is quite sparse Windows smartphone with dual SIM capability. SIM card for his own use of micro. While browsing the internet, only one SIM unfortunatly just enough speed on the 3G HSDPA+ network as an alternative data connection, there is also available WiFi for local connectivity, Bluetooth v4.0 there, NFC, and miro-slot USB v2.0. Additional features provided by this mobile are complete. If often socialize in social media already available applications Path, Twitter, Facebook, Instagram and more. For the purposes of chit-chat using WhatsApp messenger and fuel there. There is also a music player that can play the file format MP3 / MP4, and Mix Radio. While the office functions represented by the Office Mobile applications. No doubt innate Lumia office applications is very powerful. very comfortable creating documents Office Mobile applications. Supported formats are Power Point, Word and Excel. The company equip these two cards phone with Quad-core Cortex-A7 1.2 GHz speed Processor to support the performanceof chipset Qualcomm Snapdragon 400 with 1GB of RAM. The company also has to provide internal storage of 8 GB. Four-core processors become the main motor Lumia 730 Dual SIM function properly. During tested by the editors, the performance of smart phones these two cards can be said quite satisfactory. When we tested the ability of multitasking, performance slowed slightly, but still within a reasonable category. Lumia 730 Dual SIM is powered by a lithium ion battery with a capacity of 2200 mAh. The vendors to claim if the Nokia Lumia 730 will be able to survive more than about 600 hours on standby and will to survive for 22 hours under normal usage with 2G network while to use the 3G network will last for 17 hours.